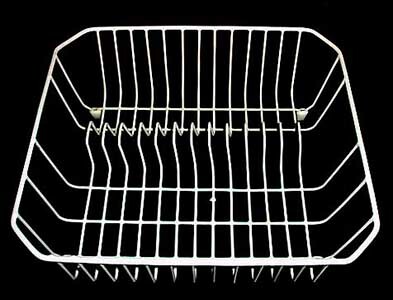 Purchase an inexpensive plastic dish rack - designed to hold dishes for drying. Get an inexpensive plastic container, large enough to hold the dish rack securely and place the rack inside. Sterilite is a good provider. In the USA, their wares are available at many discount stores, such as Target, WalMart, KMart, etc. Place the container in a bath tub or large sink and fill it with water. 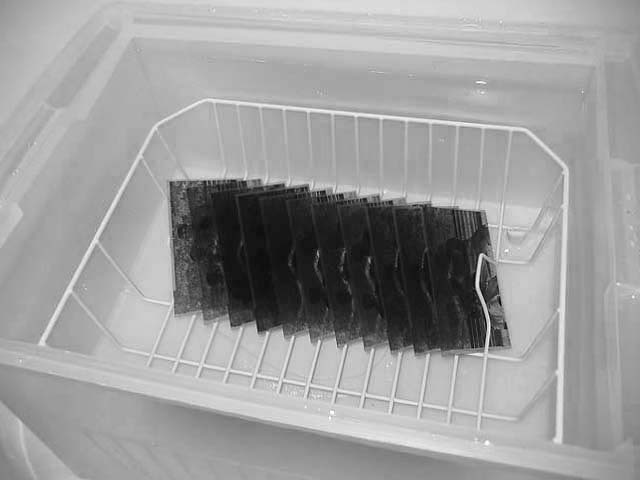 Place your film in the rack and let it soak. Diffusion will do the work. Replace the water every 1/2 hour, until you are happy with the degree of washing. Compared to other washers, less water is used. Except for the time when you fill the container, it's silent. If you like, you can make a siphon from a length of plastic tubing and let the water drain from the bottom, while you replace it with water from the top. That will use more water, but washing will require less time to complete. If you develop roll film using a tank and reel, keep the film on the reel, place the reel inside an inexpensive storage tray and fill with water. The film soaks and diffusion does the rest. You can change the water every 1/2 hour or so, until done. This uses less water and makes no noise.